Cafe Art Space: Is the Supernatural Realm Real? When a young woman is found dead in a field, dressed up as a scarecrow with a slashed grin and a broken neck, the residents of Salem, Massachusetts, begin to fear that the infamous Harvest Man is more than just a rumor. But out-of-town cop Jeremy Flynn doesn't have time for ghost stories. He's in town on another investigation, looking for a friend's wife, who mysteriously vanished in a cemetery. Complicating his efforts is local occult expert Rowenna Cavanaugh, who launches her own investigation, convinced that a horror from the past has crept into the present and is seducing women to their deaths. Jeremy uses logic and solid police work. Rowenna depends on intuition. But they both have the same goal: to stop the abductions and locate the missing women before Rowenna herself falls prey to the Harvest Man's dark seduction. Is the supernatural realm real? 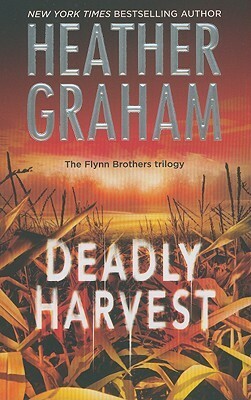 Many of her Heather Graham’s characters in Deadly Harvest whilst generally open to the possibility of supernatural phenomenon don’t really believe that it is very probable. A lot of their decisions and discoveries seem to be made with supernatural involvement, but each character’s level of skepticism leads you to believe that there could be are other more plausible explanations. Heather Graham uses this balance between the supernatural and the mundane is quite effectively in creating a sense of unease in the reader... a slightly sinister dream escalates when foreign matter is found between the sheets, a simple case of sleep walking and sleep talking takes on an eerie quality with the introduction of a ghost. Alternatively a person who seemingly vanishes into thin air, a victim of a rather malignant practice, turns out to have been abducted under much more earthly circumstances... but there’ll be no spoilers here. 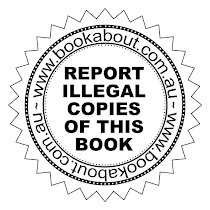 The end result is that you, the reader are left guessing. Are there really supernatural forces as play? Who is The Harvest Man? Is Mary still alive? Is it too late... for Mary... for Salem? I really like the way Heather Graham builds the suspense in her novels. 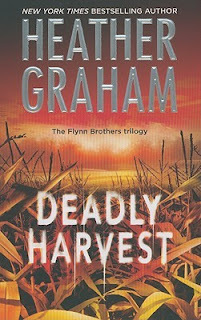 This is the second book in the Flynn Trilogy that I have read and I am looking forward to the third.